If you’re in the military and currently renting an apartment, you might be wondering if you’re allowed to break your rental lease. In this post, we’ll show you how to properly break a lease when you’re transitioning to the military, leaving for active duty, or changing station. Keep in mind, you can get advice specific to your situation by reaching out to your local base for legal assistance. If you’re not located near a base, you can reach out to your state’s National Guard Family Assistance Center. What Are Valid Military Reasons for Breaking a Lease? Because this is a federal law, landlords have to comply and terminate your lease after you supply a written notice of your orders. Keep in mind that SCRA rights apply to men and women in the military and applies to their families. RELATED: SHOULD I HAVE A MILITARY CLAUSE IN MY LEASE? What If Your Lease Has a Military Clause? Some leases have a clause that states how the landlord will handle terminating the lease for military reasons. Since the SCRA was enacted, it’s less likely for leases to have military clauses. If your lease has a military clause, it is only valid if it follows the SCRA. The SCRA is a federal law. Any clause that violates a federal law is considered ‘void’ by the courts. If your lease does NOT have a military clause, don’t worry because the SCRA protects your rights whether your rights are written in the lease or not. 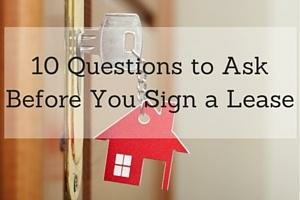 How Do You Tell Your Landlord You Need to Break the Lease? If your orders haven’t come through yet, we recommend asking your commander for a letter that states you will be receiving active duty orders or a PCS order. When Will Your Lease Officially End? The lease will terminate 30 days after the next rent payment is due. For example, if you deliver your notice on February 24th and you pay rent on the first of the month, then your lease will expire March 30th. What Will Happen After You Send the Notice? Your landlord should accept the notice and confirm the lease termination date. Keep in mind, your landlord can’t collect rent after the lease expires. What If Your Landlord Doesn’t Agree to Terminate the Lease? Your landlord might challenge the orders or take you to court, but in that case, it’s very likely you’ll win, assuming you’ve been honest about your orders. The SCRA protects your right to break a lease with proper evidence of military orders. What If My Spouse’s Name Is Also on the Lease? The SCRA protects you and your family. If your spouse’s name is on the lease, then he or she can also legally break the lease. What If the Service Member’s Name is Not on the Lease? In most cases, the service member’s name needs to be on the lease. If your name’s not on the lease, then check your state laws. Some states extend SCRA protection if the lease was for the use of the service member, even if their name is not directly on the lease. If you’re a tenant and in the military, it’s good to know the SCRA will help you terminate your lease if you are transitioning to the military, have orders for active duty, or have PCS orders. To improve your rental experience in the future, join the online rental world. With Rentalutions, you can pay rent and view your lease anytime, anywhere. Plus, you can find a new rental property by sending your renter profile to multiple landlords and only pay an application fee once. Learn more about how Avail makes renting easy. Guest Author Bio: Avail is the only end-to-end tenant software that helps tenants find their next home, sign leases, pay rent, and manage maintenance all online. Join the thousands of tenants across the U.S. that are already saving time managing their rental experience online.